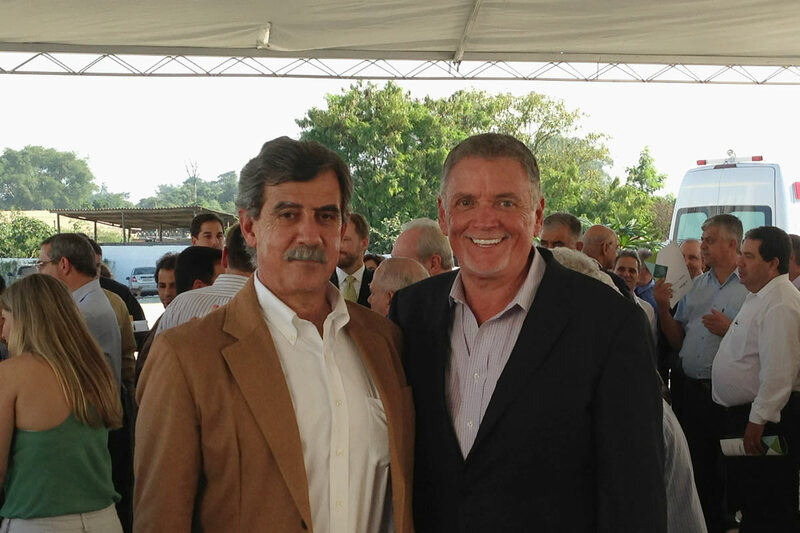 Brasil Biogas Plant is Now Selling Biogas! 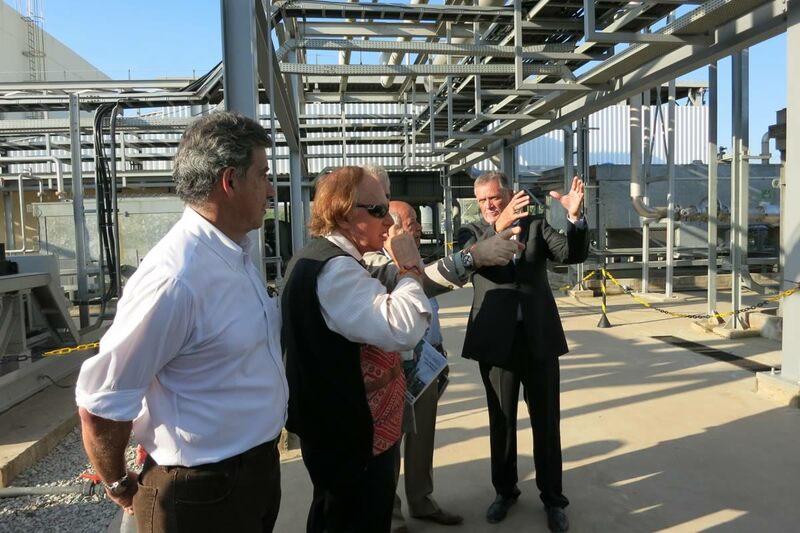 It’s a big day at Gás Verde’s biogas purification plant as the first batch of biogas is sold! View our slideshow to see the story. https://firmgreen.com/wp-content/uploads/2017/03/02_biogasGVSA.jpg 400 600 FirmGreen /wp-content/uploads/2017/03/fgi_logo.png FirmGreen2013-08-24 16:14:262018-07-24 13:45:19Brasil Biogas Plant is Now Selling Biogas! 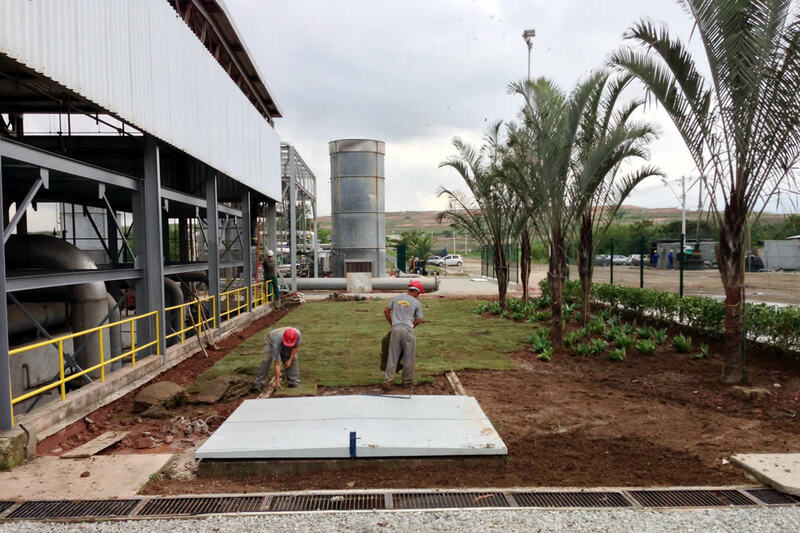 With the biogas processing plant ready to become operational, workers are “beautifying” the landscape. 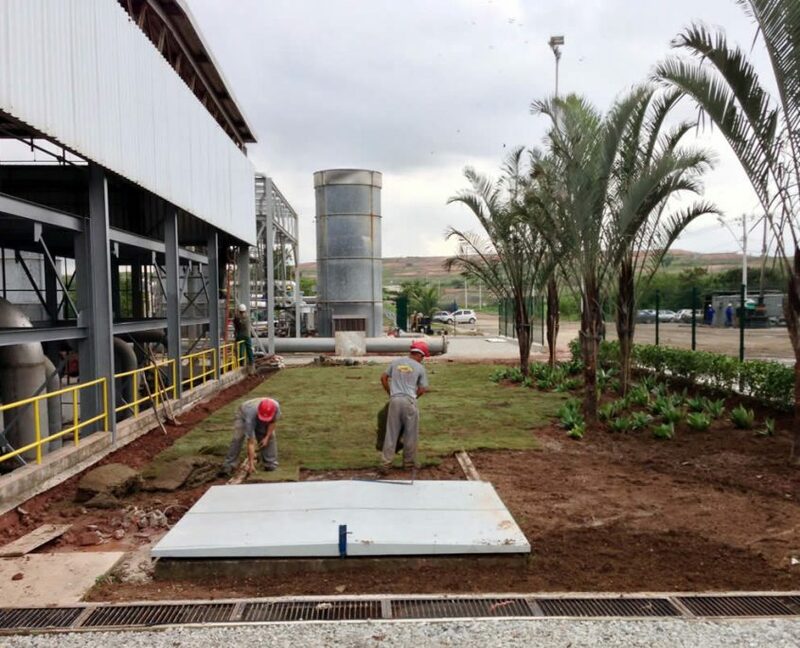 The Novo Gramacho biogas plant officially opened June this year, transforming a former environmental wasteland into a green energy center that purifies the gases that accumulate as waste decomposes. 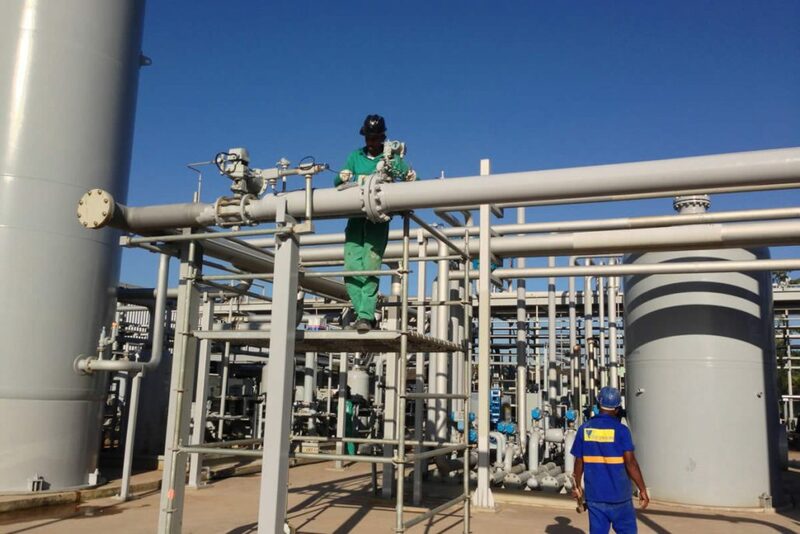 The cleaned biogas will be delivered to a nearby customer via pipeline, fueling a portion of its energy needs with renewable natural gas. 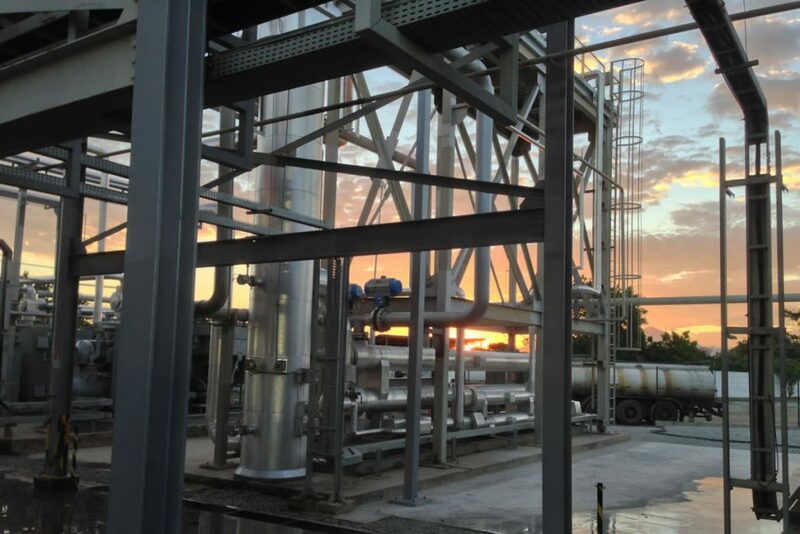 The use of this cleaned biogas will displace the use of natural gas from fossil fuels. A portion of the cleaned biogas will power the operations of the Novo Gramacho facility. Scientists face difficult challenges in predicting and understanding how much our climate is changing. 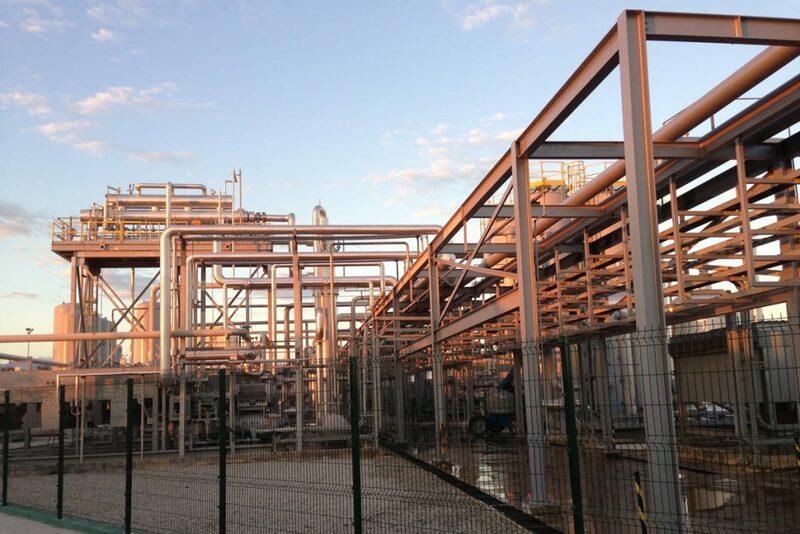 When it comes to gases such as methane that trap heat in our atmosphere, called greenhouse gases (GHGs), scientists typically look at how much of the gases exist in the atmosphere. Climate Change — What Role Does Methane Play? Chemically reactive GHGs include methane and ozone (carbon dioxide, the most important GHG, is largely unreactive). Once methane and the molecules that create ozone are released into the air by both natural and human-induced sources, these gases mix and react together, which transforms their compositions. When gases are altered, their contribution to the greenhouse warming effect also shifts. So, the true effect of a single GHG emission on climate becomes very hard to single out. Some of the major investigations into the state of our warming planet come from a series of reports from the Intergovernmental Panel on Climate Change (IPCC) Assessment. These reports involved the work of hundreds of climate experts. The reports rely on measurements of greenhouse gases as they exist in the atmosphere, after they may have mixed with other gases. In other words, the findings in the report do not reflect the quantities that were actually emitted. Shindell finds there are advantages to measuring emissions of greenhouse gases and isolating their impacts, as opposed to analyzing them after they have mixed in the atmosphere. His study on the subject was recently published in the journal Geophysical Research Letters. In the study, when the individual effects of each gas on global warming were added together, the total was within 10 percent of the impacts of all the gases mixed together. The small difference in the two amounts was a sign to Shindell that little error was introduced by separating the emissions from one another. After isolating each greenhouse gas and calculating the impact of each emission on our climate with a computer model, Shindell and his colleagues found some striking differences in how much these gases contribute overall to climate change. The leading greenhouse gases include carbon dioxide, methane, nitrous oxide, and halocarbons. These gases are called ‘well mixed’ greenhouse gases because of their long lifetimes of a decade or more, which allows them to disperse evenly around the atmosphere. They are emitted from both man-made and natural sources. Ozone in the lower atmosphere, called tropospheric ozone, a major component of polluted air or smog that is damaging to human and ecosystem health, also has greenhouse warming effects. In the upper atmosphere, ozone protects life on Earth from the sun’s harmful ultraviolet rays. According to new calculations, the impacts of methane on climate warming may be double the standard amount attributed to the gas. The new interpretations reveal methane emissions may account for a third of the climate warming from well-mixed greenhouse gases between the 1750s and today. The IPCC report, which calculates methane’s affects once it exists in the atmosphere, states that methane increases in our atmosphere account for only about one sixth of the total effect of well-mixed greenhouse gases on warming. Part of the reason the new calculations give a larger effect is that they include the sizeable impact of methane emissions on tropospheric ozone since the industrial revolution. Tropospheric ozone is not directly emitted, but is instead formed chemically from methane, other hydrocarbons, carbon monoxide and nitrogen oxides. The IPCC report includes the effects of tropospheric ozone increases on climate, but it is not attributed to particular sources. By categorizing the climate effects according to emissions, Shindell and colleagues found the total effects of methane emissions are substantially larger. In other words, the true source of some of the warming that is normally attributed to tropospheric ozone is really due to methane that leads to increased abundance of tropospheric ozone. According to the study, the effects of other pollutants were relatively minor. Nitrogen oxide emissions can even lead to cooling by fostering chemical reactions that destroy methane. This is partly why estimates based on the amount of methane in the atmosphere give the gas a smaller contribution to climate change. Molecule for molecule, Methane is 20 times more potent than carbon dioxide as a greenhouse gas, but CO2 is much more abundant than methane and the predicted growth rate is far greater. Since 1750, methane concentrations in the atmosphere have more than doubled, though the rate of increase has slowed during the 1980-90s, and researchers don’t understand why. Controlling methane could reap a big bang for the buck. Another bonus of this perspective is that in order to manage greenhouse gases, policy decisions must focus on cutting emissions, because that’s where humans have some control. Sources of methane include natural sources like wetlands, gas hydrates in the ocean floor, permafrost, termites, oceans, freshwater bodies, and non-wetland soils. Fossil fuels, cattle, landfills and rice paddies are the main human-related sources. Previous studies have shown that new rice harvesting techniques can significantly reduce methane emissions and increase yields.